This week’s theme has been scarecrow. We have done scarecrow crafts while working on our speech and language goals! When getting dressed, talk about what part of the body each article of clothing is covering. For example, we are putting our pants over our leg, and we’re putting our feet in our shoes. 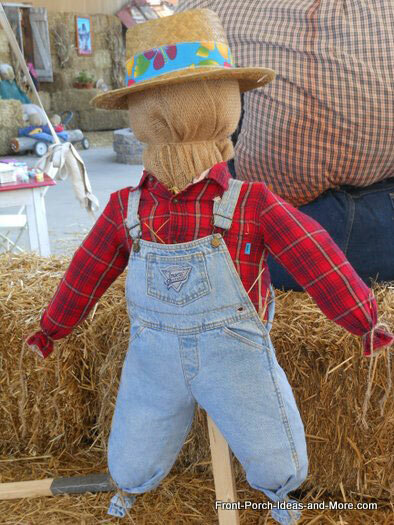 A fun fall activity is to create a baby scarecrow. If you have some old clothes (like a onesie), fill the arms and legs with straw, and use pantyhose to make a head. Then you can talk about the different body parts and clothing for the scarecrow. I hope everyone enjoys their weekend! Next week’s theme is fireflies! My name is Kelsey Dunbar, and I am the new speech therapist this year! I am so excited to be working at Kaechele and am enjoying getting to know all my speech students. I try to send home a speech folder with each student that logs what we are working on that day. I will also be sending homework on a case by case basis, so look out for it in the folder. If you have any questions, comments, or concerns, please feel free to contact me through email, at kedunbar@henrico.k12.va.us. Every student I see is working on different goals, so I will use this blog to share the week’s theme along with tips for facilitating speech and language at home!